Cotton Bam Boo is a smooth, lustrous sportweight yarn with great stitch definition. The cotton component allows the blend to knit up into a fabric that is soft and breathable. Bamboo adds a soft sheen, and it is naturally antibacterial. 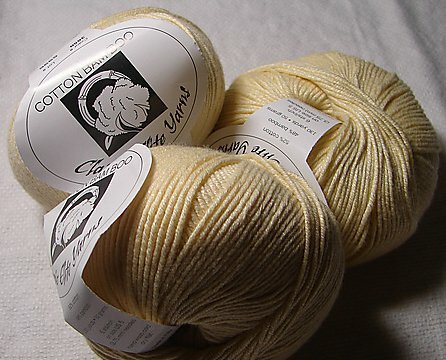 The cotton/bamboo blend gives this yarn a wonderful drape.